Seat belt & anchor pretensioner repair service after accident. If you have a seat belt with an anchor pretensioner on the bottom that is locked or blown after accident, we can fix it! 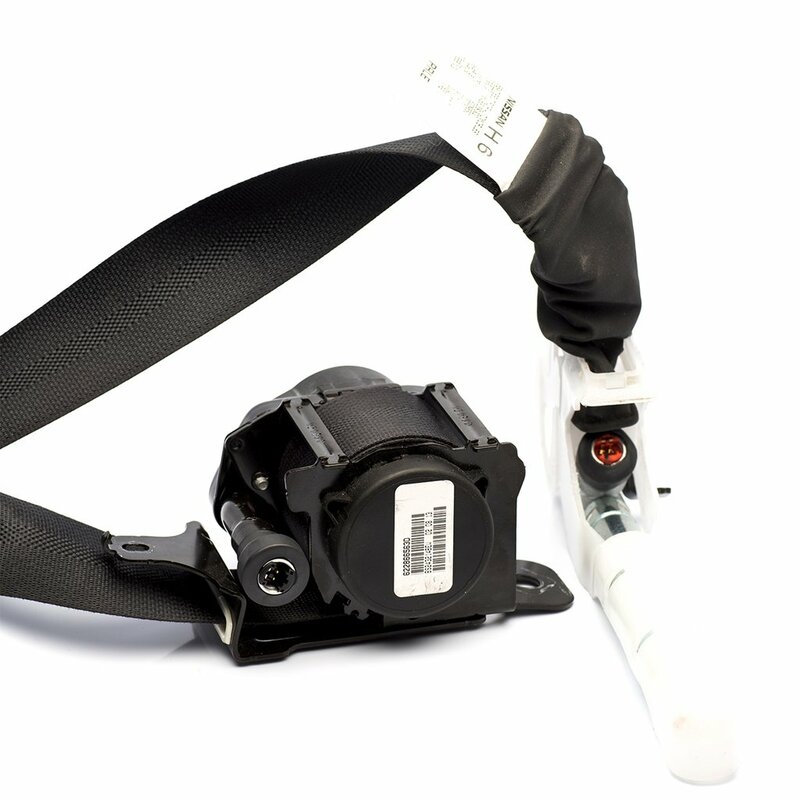 Our OEM repair service lets you re-use your existing seat belt with our repair service! 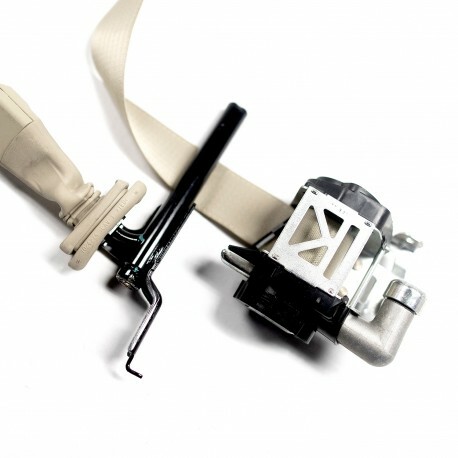 Your seat belt will be rebuilt to its factory condition using OEM parts and is guaranteed to work in another accident. Our certified technicians will test each seat belt prior to mailing it back to you. All repairs are done in 24 hours and your entire seat belt mechanism is rebuilt from its locked or jammed position and the anchor pretensioner is fixed from the deployed or compressed state. This service is compatible with all makes and models as well as all salvage cars. Popular makes for seat belt repair with an anchor pretensioner include Ford, GMC, Chevrolet, Honda, Cadillac, Buick, Acura, Toyota, Nissan, Lincoln & more. Regardless of your vehicle's year or model, we can repair it! This is how a typical seat belt retractor with an anchor pretensioner looks like. As you can see, a seat belt retractor is equipped with a wire plug connector as well as the anchor pretensioner. Both will need to be repaired. Keep in mind that all seat belt anchor pretensioners vary in appearance from one car to another, but rest assured we can repair all seat belt anchor pretensioners! Safety Restore strives for your 100% satisfaction and we guarantee our work! In business since 2013, we work around the clock to make sure all seat belt retractors, pretensioners, buckles & anchors are repaired in 24 hours or less. In addition to your seat belt and anchor pretensioner repair after accident, you may need to reset your SRS computer if your airbag light is on. If your airbags deployed, you can be certain that you are in need of crash data removal in your SRS unit. This is because the computer only writes data and is not engineered to have it removed. The dealer cannot erase hard codes or crash data and neither can an OBD airbag scanner, regardless of the brand. Here at Safety Restore we offer fast & affordable SRS airbag module reset service for all makes & models! We repair seat belts, reset SRS airbag modules after accident and replace frayed and dog chewed seat belt webbing. We also offer custom color seat belts and lastly repair instrument clusters.